To inform your work and enrich your life! 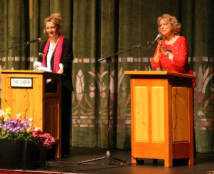 Dede Ryan, right, enjoys question-and-answer session with internationally acclaimed author, Elizabeth Strout, at the Egyptian Theatre in Boise, Idaho. Popular author T.C. Boyle joins Dede Ryan, Executive Director of The Cabin Literary Center, for dinner prior to speaking at a sold-out event at the Egyptian Theatre in Boise, Idaho. International author and speaker, Chris Abani, chats with Dede Ryan in the Egyptian Theatre's Green Room before he takes the stage ... and later receives a standing ovation from the audience for his terrific presentation. 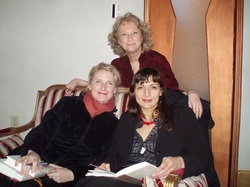 Elizabeth Gilbert (left), extraordinary author of Eat, Pray, Love, warms up with her agent (right) and Dede Ryan (top) in the Egyptian Theatre's Green Room before dazzling a sold-out audience with her wit and wisdom. Dashboard Communications owner, Dede Ryan, recently facilitated a strategic planning session for an Idaho non-profit organization and spoke at a Capital City Communicators luncheon. She is a blogger for Mother Earth News. 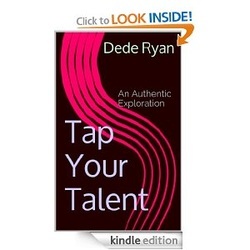 Current clients include the J.R. Simplot Company and the Idaho Nonprofit Center. She is a commissioner on the Boise Arts & History Commission, and an active board member with Boise State Public Radio and the Idaho Film Foundation.